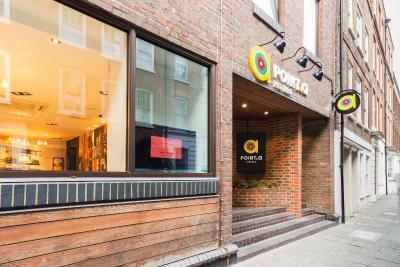 Lock in a great price for Point A London Liverpool Street – rated 8 by recent guests! 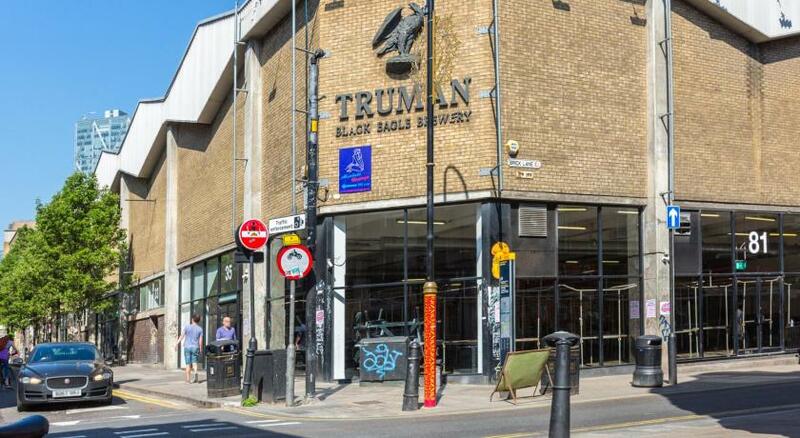 Good value for money and a great location close to the heart of the City. But no frill. Which is just fine. Fabulous location beautifully appointed room. Little stripped down but ultra modern with lovely tv and no telephone or nose wipes. Staff was friendly and kind to an old lady! The location is to be recommended. Nice thick towels. The bed and pillows were really comfortable, the location is great, the underground station is very close and there are lots of delicious restaurants around. The staff was very nice and accommodating. The bathroom and shower were bigger than expected, really nice and all very clean. The staff is very friendly and helpful. The hotel itself is very well located. It is also fairly priced, considering the hotel's location. The breakfast was delicious and the hotel had a great atmosphere. Staff was really nice, good value, used their space very well to make rooms comfortable. cool and friendly staff! and clean! well, and the bed was fluffy! 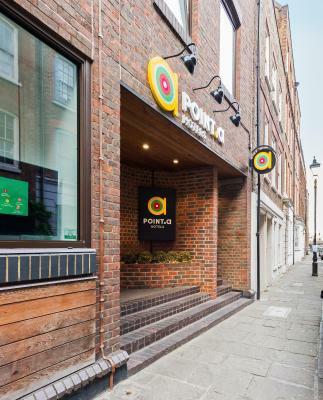 Point A London Liverpool Street This rating is a reflection of how the property compares to the industry standard when it comes to price, facilities and services available. It's based on a self-evaluation by the property. Use this rating to help choose your stay! 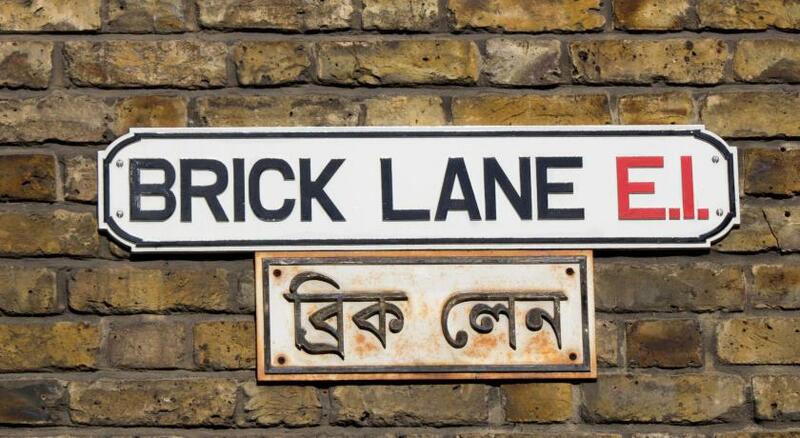 Point A London Liverpool Street is located in London, 1,300 feet from Brick Lane and 2,650 feet from Hoxton Square. Every room at this hotel is air conditioned and has a flat-screen TV with 240 channels. Each room has an private bathroom with a power shower. Extras include free toiletries and a hair dryer. Guests benefits from a 24-hour front desk and free high-speed WiFi. A continental breakfast is served each morning and coffee and snacks is available throughout the day. Tower of London is 0.9 mi from Point A London Liverpool Street, while Tower Bridge is 1.1 mi from the property. The nearest airport is London City Airport, 5.6 mi from the property. Tower Hamlets is a great choice for travelers interested in convenient public transportation, tourist attractions and monuments. When would you like to stay at Point A London Liverpool Street? Hotel surroundings – This neighborhood is a great choice for travelers interested in convenient public transportation, tourist attractions and monuments – Check location Great location - show map Guests loved walking around the neighborhood! 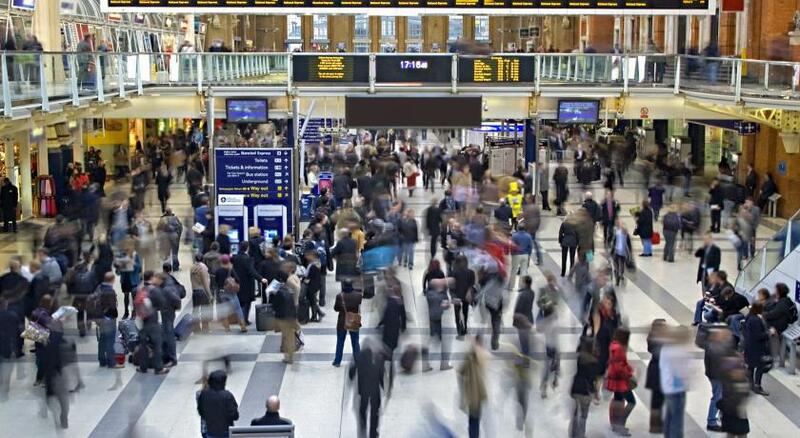 House Rules Point A London Liverpool Street takes special requests – add in the next step! Point A London Liverpool Street accepts these cards and reserves the right to temporarily hold an amount prior to arrival. Early check-in is possible (for an additional fee), subject to availability and by prior arrangement. Luggage storage is available for an additional fee. Room was a bit too compact, rooms only serviced every 3 days and no tea/ coffee facilities in room. The room was tiny, having stayed there previously when it was a Tune hotel I was surprised that the makeover as part of the change of brand had completely reconfigured the rooms to be much smaller. You could barely get round the bottom of the bed and using the hairdryer was nightmare as it was connected inside a cupboard where there was no room to stand. The breakfast was good, and the facilities were clean and functional. it was under renovation. Too expensive for too small room. No breakfast or a decent coffee available. the stay was terrible. Comfy beds and good bathroom. Very clean new room! Would have been nice just to buy a beer after a very late arrival. Real value for money. These people are showing other budget hotels how to get it right - it's all simple and small, but cleverly done, with taste, and VERY friendly staff. Good location. It would be nice to have a glass and a bottle of water in the room. The room looked nice and modern. The TV has a lot of channels and even an app to watch movies on demand. There were a hairdryer and shampoo and everything I needed. For short stays, I think room without window is a good (cheaper) option. Cooked breakfast not an option, but plenty of continental/snack options. Wish you had Union Hand Roasted Coffee instead of whatever was in your machines. Great location, modern rooms. Liked the mood light setting which offers soft lighting in comparison to a lot of super bright hotel lights/lamps. Easy check in/out and on a relatively quiet street considering you're bang in the middle of central. Garden area at the back is a nice too. Large window which could be opened a little to allow ventilation unlike many in London.